Best known for their 1982 international smash hit ‘Walkin’ On Sunshine’, Rockers Revenge are the incredible dance group behind some of the 80’s most memorable club tracks. 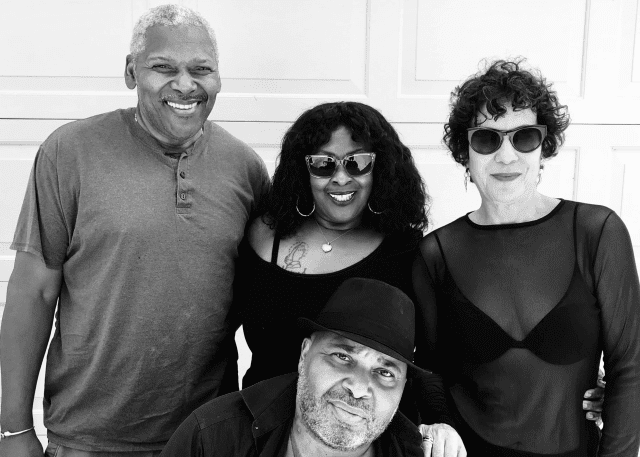 Made up of American DJ and producer Arthur Baker, vocalist Donnie Calvin and backing vocalists Tina B, Dwight Hawkes and Adrienne Johnson, the group found fame in the early 80’s with their sun-soaked remix of the Eddy Grant classic, reaching No. 1 in the US dance charts and No. 4 in the UK, where it sold over 300,000 copies. The track has recently been re-released with a remix from Full Intention, reaching No. 4 in the Traxsource Top 100 and re-establishing Rockers Revenge as dance music legends. Rockers Revenge are reuniting in 2018 following an extended hiatus, bringing the members back together to rekindle the musical magic they captured together thirty years ago. ‘On A Mission’, their first single since returning to the music scene, was released in June 2018 to universal acclaim. The six-track EP was the 200th release on influential record label Crosstown Rebels and featured progressive remixes from François K and Michael Mayer. With a documentary on the group, further singles and a studio album currently in production and scheduled for release later this year, the group have made a successful return to the live circuit with gigs across Europe, playing at Razzmatazz Barcelona, Scorpio Club Mykonos and Cafe Mambo Ibiza, with hotly-anticipated dates in the calendar across the UK and US.